On December 8, 2012, In Expert , by IP Rings Ltd.
Why Orbital Cold Forming? In what way this technology is wise? you have cg 125 (1991) model piston rings……..? What heat treatment method are you using for OCF and which process for quenching? Orbital Forming is a Cold Forming operation in which high specific pressure is applied through a specially designed mandrel on different portions of the sample resulting in kneading of the material into the bottom Die. 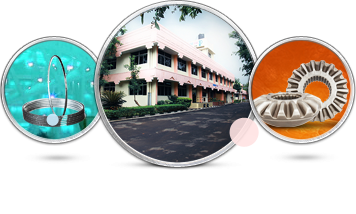 The Process produces components with high degree of dimensional accuracy and consistency through out Die Life. A characteristic of Orbital forming is an extremely High degree of deformation with relatively little Force. This press can operate from Ø 50 to Ø 200 mm components.